Naturally radiant cheeks that are as pretty as a petal! 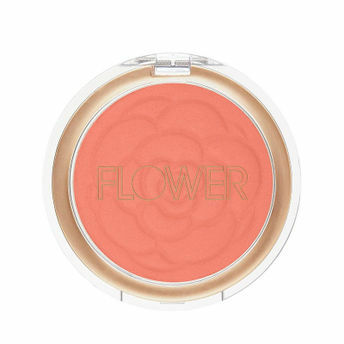 Flower Beauty's Flower Pots Powder Blush blends on smooth and silky, enhancing your skin tone with a healthy flush of color. The shade warms your complexion to your ideal tone. Show off your rosy glow. About the Brand: Drew Barrymore's gift to everyone, the brand Flower Beauty brings her message of empowerment and optimism with her own beauty collection that lets everyone achieve the effortless beauty look just like her.The brand offers luxurious range of cruelty-free cosmetics and professional tools that not only make life easier and more fun, but look and feel amazing! Explore the entire range of Blush available on Nykaa. Shop more Flower Beauty products here.You can browse through the complete world of Flower Beauty Blush .Alternatively, you can also find many more products from the Flower Beauty Flower Pots Powder Blush range.